Too good to miss! 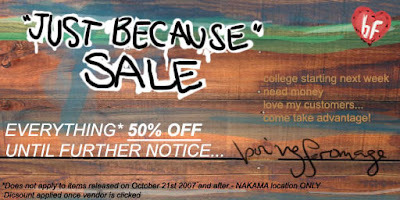 50% off everything at Boing Fromage's Nakama location only. The sale runs until further notice, but it's a SALE so rush!